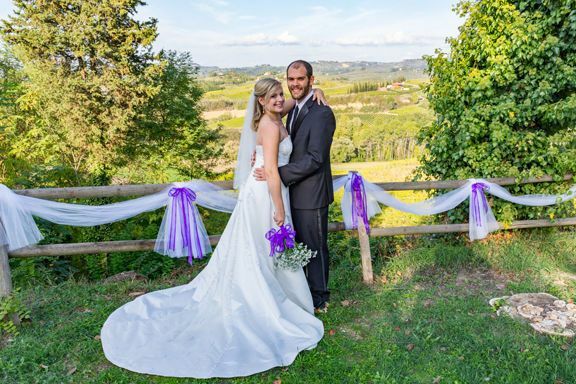 Totally Tuscany Villas will help you create your dream "Destination Wedding" in the most picturesque and renown locations imaginable, Tuscany, Italy. Our desire is to help you turn this special event into the most romantic and memorable days of your life and for your guests who travel there to celebrate it with you! 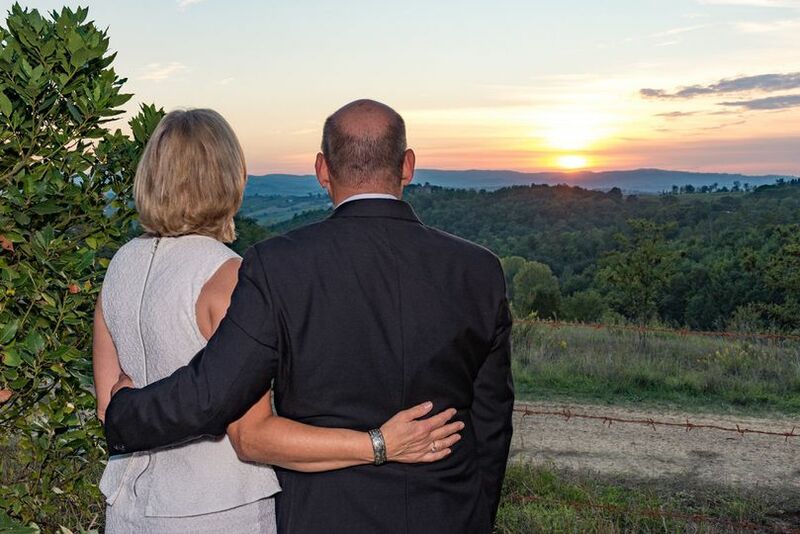 At our property, you'll find many beautiful scenic spots overlooking the Tuscan hillsides where you can hold the ceremony and reception. 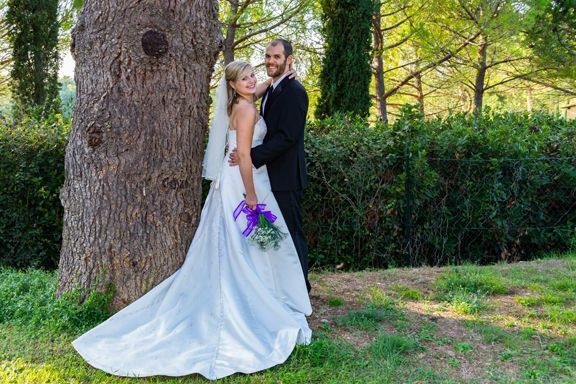 Plus, there are many locations around the property for photographing your special day! It will truly be an unforgettable event you'll cherish for a lifetime! From the initial planning stages to the actual day of your event, we'll help you create the type of ceremony and reception that fits your personality, needs, and budget. 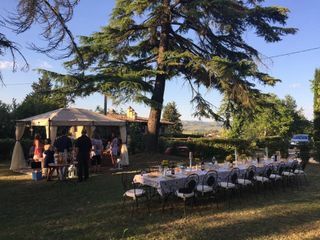 We offer a variety of venues including our villa complex on our Chianti Hillside in the Florence region or other regional choices like a castle or banquet reception. 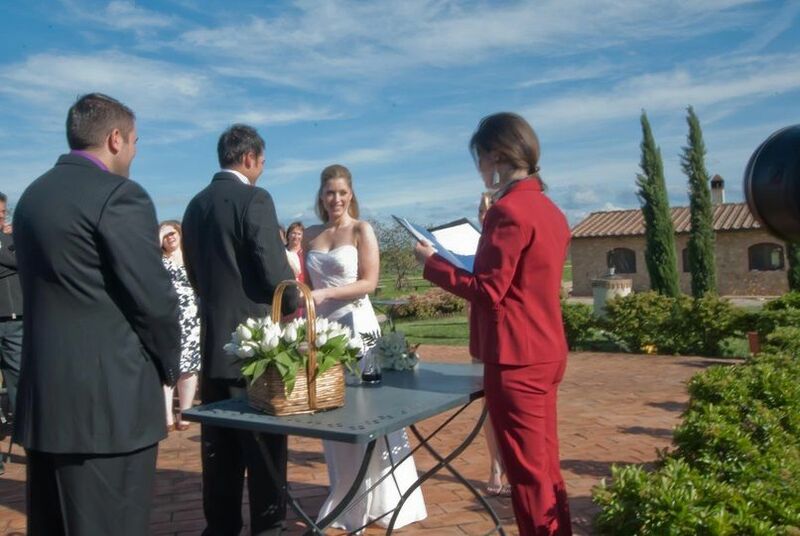 You will have an event planner here in the US as well as an onsite Italian Wedding Planner who's familiar with everything you will need. We handle all of the logistics for you, from selecting your flowers to having your documents translated. Whether you choose an intimate setting or a lavish banquet, we can make your vision a reality on your budget! In addition, we'll help you set up all the arrangements for your guests who are staying at the villas. So please fill out the contact form so that we can get started today. You may email me directly for more information at Valmalecki@yahoo.com. 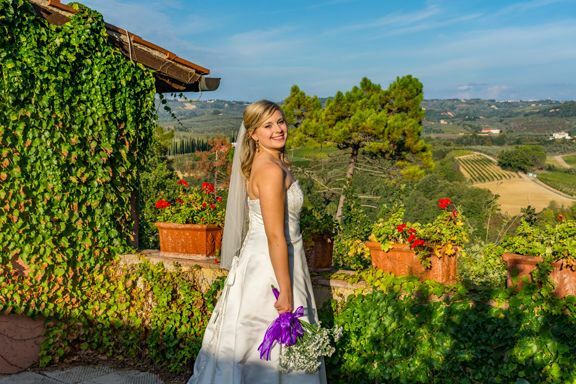 If an intimate Italian wedding is what you’re searching for, look no further than Totally Tuscany Villas. 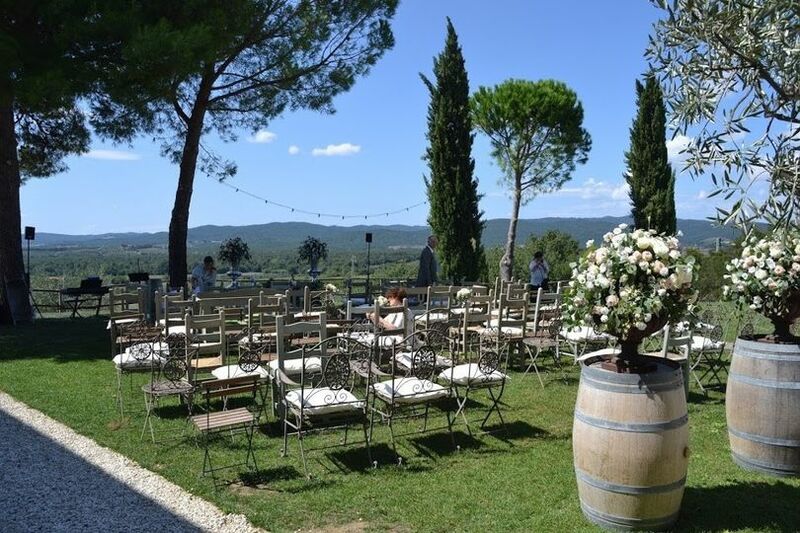 Situated on a stunning vineyard in Tuscany, this location has everything you need for the perfect wedding – incredible views, mouthwatering meals, endless photo locations and a cute cat who may try to photobomb your shots in the cutest way ever!! Plus, the villas themselves are ideal for getting ready for your big day and come with seriously comfy beds, modern amenities, full kitchens and plenty of bathrooms, and of course, spectacular views from your room, porch or patio. 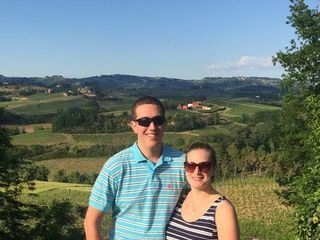 We honestly felt like we were living the life of Italian royals while we were there and we wouldn’t have changed a thing. Plus, the weather was SO perfect the whole time, making it a breeze to set up everything and get great photos. Val and Elizabeth are the sweetest and helped us through the entire process, communicating with us often throughout the planning to ensure a perfect event. When we arrived, Elizabeth was an ideal host, catering to our every need, checking in often and going above and beyond the call of duty make sure we had everything we needed. 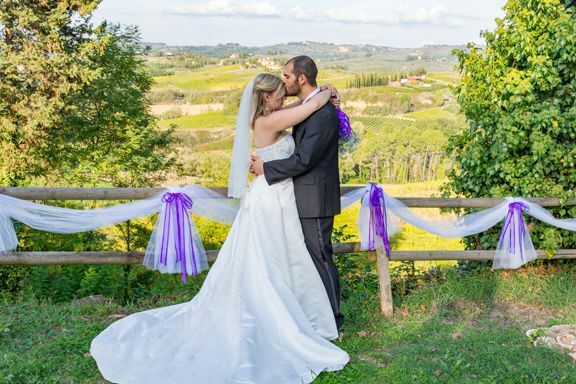 Our wedding was everything we wanted and more, and one of the most magical days of our lives thanks to Totally Tuscany Villas! 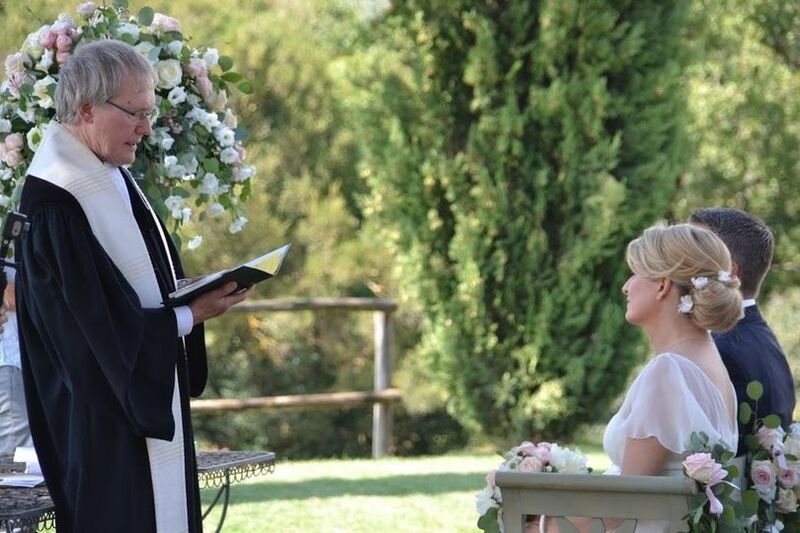 Have your wedding here, and you WILL NOT be disappointed – we promise! They are simply the best : professionals and extraordinaries! Val was extremely helpful and accessible throughout the planning process for our large family vacation. She really listened to everything we wanted to accomplish and went above and beyond in scheduling it all for us. The vacation turned out to be a perfect mix of exploring, learning, and relaxation. The care that was put into making sure we could focus on spending time together instead of worrying about details was evident from arrival to departure. From our bus rides, to tours, to meals, everything was timed perfectly in a way that maximized our time together. Despite everything we saw in Tuscany, my favorite part was our family dinners in the gazebo area. We had the opportunity to try authentic Italian cooking, prepared by a wonderful chef. In fact, we still talk about some of the dishes we tried (fried zucchini flowers, I miss you) whenever we all have dinner together at home. I can't wait to go back to Italy, and will definitely reach out to Val when I am ready for it.